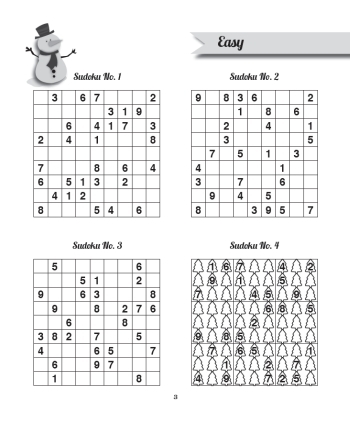 Welcome to this fantastic festive collection of 200 sudoku puzzles and solutions. 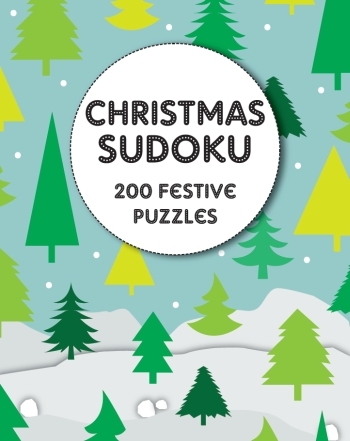 Featured inside this book is a great range of easy, medium & hard 9x9 sudoku puzzles with fun christmas designs throughout! This book would make the perfect gift for any sudoku lover, new or experienced. We love to hear from you so please do let us know how you get on with this collection of puzzles.